Thanks to my friends at Simple Bulb, creators of Bedtime Bulb, for this guest post. At SimpleBulb, our goal is to make light healthy. One of the main issues we address with Bedtime Bulb is sleep-interrupting blue light. Proper light exposure is critical for babies, whose healthy development may be impacted by chronic sleep disruption. All humans have a body clock, or circadian rhythm, that tells us when to be awake and when to sleep. As adults, we have a highly-developed circadian rhythm that cycles approximately every 24 hours. When we experience fatigue or jet lag, our circadian rhythm may be out of sync with the environment. The circadian rhythm runs on its own, but it actually tends to run longer than 24 hours in humans. To synchronize to a 24 hour schedule, it takes input from various environmental cues. One of the most powerful stimuli is light. How does this work? 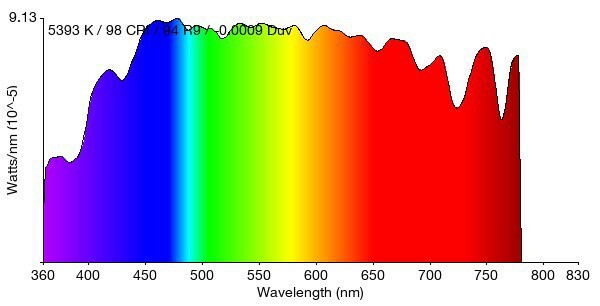 Photoreceptors in the eye detect the blue and green component of white light. Natural sunlight is rich in blue and green light, while traditional nighttime light sources like moonlight and fire are much dimmer. When the photoreceptors in our eyes detect significant blue and green light, they send a signal to the body clock, effectively saying “it is daytime.” In the absence of blue and green light, no signal is sent. Many of us do not get adequate daytime sunlight exposure—especially in winter. 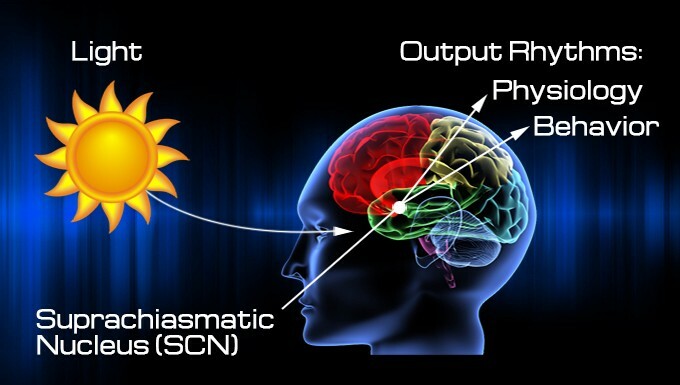 In the absence of a powerful daytime light stimulus, our circadian rhythms tend to “free-run” longer than 24 hours. 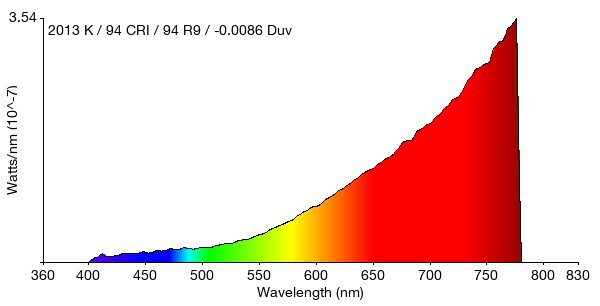 Making the issue worse, much of the lighting in our homes is bright and blue-rich enough that it can trick the circadian rhythm into thinking it’s daytime, even when it’s not. The same applies to phone and computer screens. Together, these problems contribute to “social jet lag.” Mixed signals make it challenging for the circadian rhythm to maintain its characteristic 24-hour pattern, and we end up wanting to wake up later and later. A baby’s first few months can be chaotic. Newborns have not developed the sleep and wake cycle that will characterize their later years, thus requiring attention at all hours. Newborns show minimal variation in the production of melatonin over 24 hours. This is how we know a baby’s circadian rhythm is not yet adequately adapted to the environment. This will pass over time, but you can aid circadian rhythm development with proper light exposure strategies. Infants and toddlers have already developed a strong pattern of wake and sleep, but healthy development still depends on proper light exposure. Chronic sleep disruption could impact growth and contribute to long-term health effects. Nighttime blue and green light, produced by lighting and electronics, prevents older babies from falling asleep at an appropriate bedtime. This can lead to bedtime struggles and frequent night awakenings past the newborn stage. In addition, infants and toddlers need adequate daytime light exposure, just like all other humans. It is possible to help your baby distinguish between day and night, thus promoting healthy sleep and development, with a few simple steps. When your baby is awake during the day, provide some exposure to natural sunlight, ideally for at least 10 minutes. It is best to do this at least once before noon, and it can also be done in the early afternoon. When sunlight exposure is a challenge, opt for bright indoor lights or SAD therapy lighting*. Avoid glare and visual discomfort by keeping bright lighting at a few feet’s distance. In the evening, reduce exposure to bright lighting. Just as outdoor light gets dimmer at sunset, you should dim the lights to reduce blue light exposure. 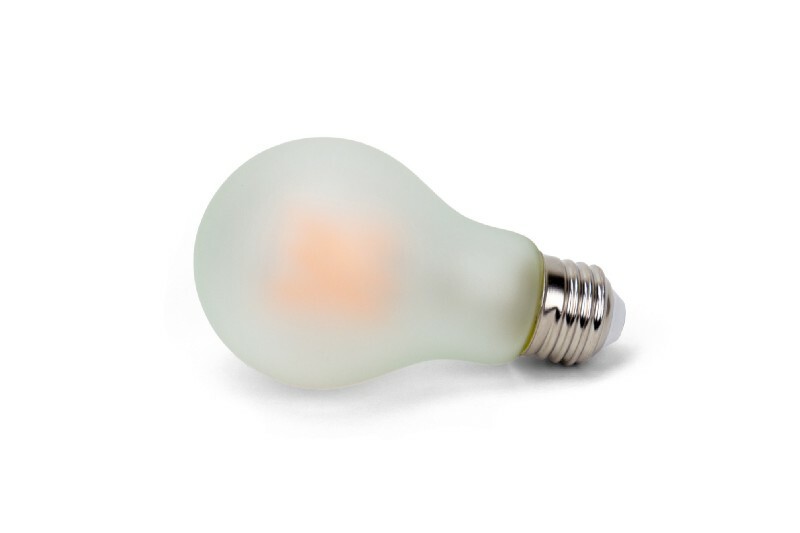 Bedtime Bulb provides a warm, comfortable light at night that minimizes the impact on sleep. Another great option for the evening is Bedtime Bulb, which provides warm, comfortable illumination without the need for dimmers. It removes most of the blue and green light that could interrupt your baby’s sleep. When your baby is sleeping at night, you should make the room as dark as possible. It’s best to turn off all lighting, including night lights, and use blackout curtains to prevent outdoor light from creeping in. Night awakenings are inevitable, but you should be careful when using lighting around the baby at night. It is best to use a light source that does not produce much blue light, such as a dim night light or Bedtime Bulb, when tending to the baby at night. Now is also a great time to establish healthy light and sleep habits. Minimizing the use of night lights and turning off all lights at night will help prevent attachment to these unhealthy crutches down the road. Erica Desper of Confident Parenting, who provided valuable input for this article. Erica Desper, a pediatric sleep consultant, has fantastic insights about your baby’s sleep. She mentions on her blog that even with the best strategies, your baby might still be a fussy sleeper. Some tips may work well for you while others may not, but know that things will get better over time naturally. Daytime: Get moderate sunlight exposure or use a SAD therapy lamp*. Evening: Use dimmers or a low-blue light bulb, such as Bedtime Bulb. Night: Make the room as dark as possible. Use night lights and Bedtime Bulb to tend to the baby, but turn all lights off otherwise. We created Bedtime Bulb as the perfect evening light. You can learn more about the product here and buy it on Amazon*. Special thanks to Erica Desper, pediatric sleep consultant at Confident Parenting, for advising on baby-specific sleep strategies for this piece. Greg Yeutter’s first word was “light.” For the last eight years, he’s been obsessed with light’s effects on health. Greg launched Bedtime Bulb as a simple, affordable solution to address unhealthy blue light at night.